The Internet can be an amazing tool, or a destructive resource. It depends on who you are talking to about the subject. One can use the world-wide web to find information on, well… anything. Which is great, most of the time. In other situations, however, the Internet can be used to acquire deadly, illegal goods such as drugs. We have written in the past about the “Dark Web.” What started with the Silk Road has morphed into a sprawling marketplace, with several websites that operate anonymously. Providing a forum for people to buy and sell anything from passports to heroin. We will not take time to get into the minutiae regarding the ins and outs of the Dark Web. For that you can easily refer to some of our previous articles on the subject. Today’s post has more to do with opioids, as the drugs are one of the number one killers of Americans, today. One can easily get their hands on anything from OxyContin to heroin, anonymously (most of the time). Two drugs that have been involved in thousands of premature deaths over the last 15+ years. While the FBI was able to close down the Silk Road, several more sites filled its place providing illicit services. It is clear that the agency can’t get them all, so maybe it is more important to impress upon such websites the ethics of what they are doing, or allowing to be sold. In the U.S., we have seen a dramatic uptick in opioid overdose deaths linked to the powerful synthetic opioid fentanyl. A drug that is extremely deadly, being 100 times stronger than morphine. If you have been following the news, or our blog, then you know it's quite common for fentanyl to mixed with heroin to increase potency. Users are usually unaware, so they do not adjust their dosage. Overdose, and death often come next. As you can imagine, fentanyl or drugs laced with it have surfaced on the dark web. And even though illegal marketplace operators have seemingly never presented themselves having and ethical code, fentanyl may be where they draw the line. Hansa Market, one of the largest Dark Web marketplaces, banned the sale of the synthetic opioid, The New York Times reports. However, the move may have less to do with ethics, and more to do with preservation. 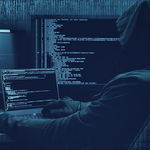 The largest dark web marketplace, AlphaBay, was shuttered recently in the wake of a coordinated law enforcement action, according to the article. Potentially, due to the large number of AlphaBay retailers selling fentanyl and similar analogs. Whatever, the reasons are not as important as saving lives, which banning fentanyl sales will likely do. Opioid addiction is a serious problem in the United States, to be sure. Which is why it is so vital that people with an opioid use disorder be encouraged to seek treatment before they encounter drugs like fentanyl. The potential for overdose death is so high. Addiction treatment is one of the best weapons in fighting this epidemic. Recovery is possible. If you are struggling with opioids, please contact Whiteside Manor. We can help.